Shizuku Tsukushima is a middle schooler who is waiting for an adventure to happen. To be proactive about it, during her summer break she sets out to read as many books in her school library as she can (how very Jane Moffat of her), and she notices one thing they all have in common: they were previously checked out by the same person – Seiji Amasawa. She is so curious about this boy, and can’t help but feel a little let down when he turns out to be a classmate who likes to look through her stuff and make fun of her song lyrics. She runs into him again when she follows a fat cat, whom she saw riding the train, to a charming little store tucked away up in the hills – and can you believe it, his grandfather just happens to own that store. She becomes fascinated by the various curios on display, such as a grandfather clock with a gnome king motif, but none catches her eye so much as the statue of a cat with vivid eyes – Baron Humbert von Gikkigen. Meeting Seiji and the Baron expands her world and leads her to give impromptu concerts, with Seiji on violin, for his grandfather’s musical friends, and to try her hand at writing her own book, which oddly enough stars the Baron. But even a middle schooler can have a tangled love life which gets in the way of having a carefree youth. She hardly knows whether she likes Seiji even just as a friend, when he suddenly tells her he’s leaving for Italy to pursue his violin making dreams (must be nice) – what will she do? And what about her childhood friend, the baseball player Sugimura? And her best friend, Yuko Harada, who likes him? It’s no wonder she spends hours looking into the Baron’s eyes, trying to figure her life out. From the initial meet-cute coincidence of the library books to the very last scene, this movie was just a sweet story, period, about not knowing what you want to do with your life, even when you have the rest of it ahead of you. There were so many cute school scenes, and also summer break scenes, that it was as if this story was made to order. And who wouldn’t want a celebratory bowl of delicious ramen after finishing a weird story about a cat baron and his long-lost lady-love? The scene of Shizuku and Seiji riding the bike together is one of my favorites ever, mostly because it’s so realistic how he struggles uphill. Even the strangely abrupt ending is charming in its own awkward way – just like adolescence (well, an idealized version of it, anyway). 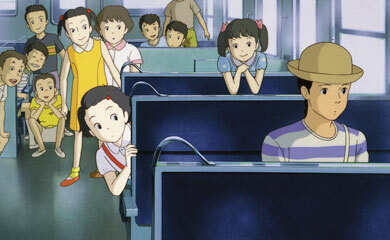 I found Hayao Miyazaki’s critiques of modern Japanese society to be a little jarring, just as I had problems more recently with his The Secret World of Arrietty which had similar themes. I feel that Shizuku’s mom was a little vilified for going back to school and leaving her oldest daughter to pick up the slack around the house, while her librarian husband kind of floundered as well. I liked the book motif that ran throughout the film – with her father being a librarian, Shizuku and Seiji meeting through books, her writing a book – though I admit I may be biased there a little. It was really contrasted with her mother and sister who used laptops mostly – not that there’s anything wrong with that, mind you. Her whole family in general was a little dysfunctional, but all the better for it. Shizuku also blows off school for a while, which is a pretty drastic way to take a dig at the school system. He also used the difference between the wealthier Yuko and the struggling Shizuku to comment on socio-economic differences, so you see how deep and complex this film really is. The housing the family lived in as well as the spoof “Concrete Roads” also seemed to be a comment on the bad effects of urbanization, a common Ghibli theme. For Ghibli aficionados, the housing complex also provided an added attraction – it was the site of the previous Ghibli film, Pom Poko. So it looks like the tanuki made way for Shizuku, which seems to suggest that Ghibli doesn’t see development as all that bad. I’m not sure what Shizuku’s story involving the Cat Baron meant or was supposed to symbolize. This movie was based on a manga of the same title by Aoi Hiiragi which I am dying to read. There are a few differences, such as no social commentary and Seiji not going anywhere, but I get the feeling that I would probably love it too. 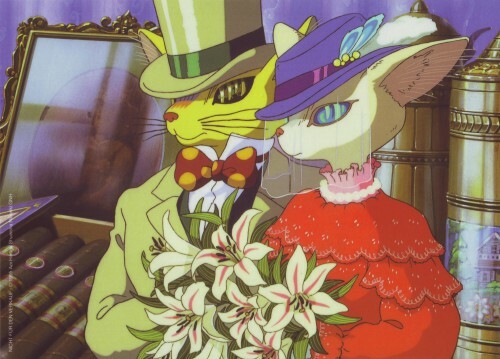 The pseudo-sequel, The Cat Returns, gives the Baron a more prominent role – for one thing, he is sentient – and seems to riff on the story that Shizuku was working on in this movie. This was probably unlike any other Ghibli film I’ve seen since there is no real magical element – unless you count the fact that Shizuku meets someone just by going to the library a lot. But that’s probably why I like it all the more. It’s a shame that the film’s director, Yoshifumi Kondo, died shortly after this was released. 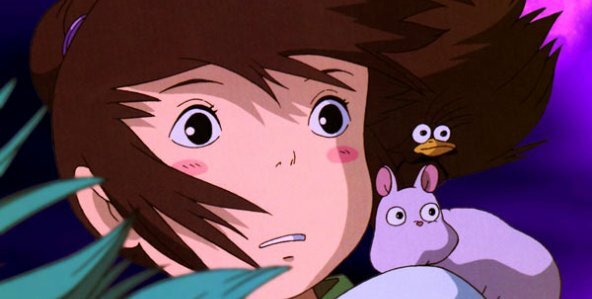 The studio had wanted him to be the successor to Miyazaki, and judging by this movie he would have been wonderful. 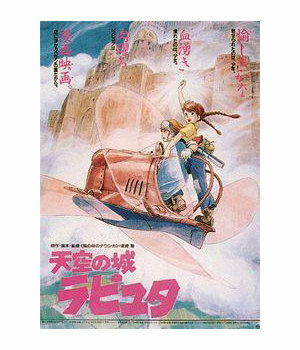 It’s not a perfect film, but it’s still my favorite Ghibli ever. And that’s something that’s at least worth a steaming hot bowl of ramen. 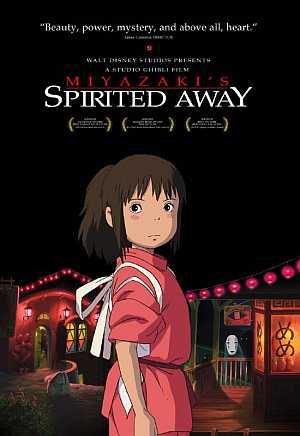 Have You Ever Been “Spirited Away”? 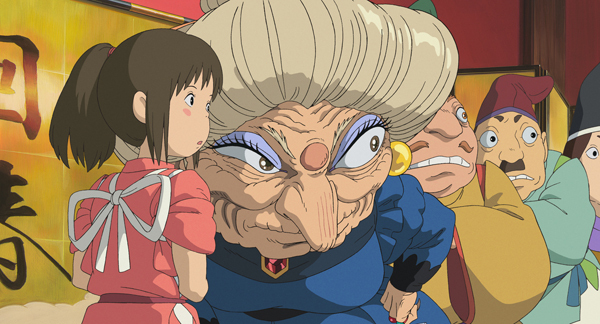 I had heard so many good things about Studio Ghibli’s 2001 film Spirited Away (Sen to Chihiro no Kamikakushi, lit. The Spiriting Away of Sen and Chihiro) that I began to suspect that I wouldn’t like it because it couldn’t possibly live up to all of those expectations. 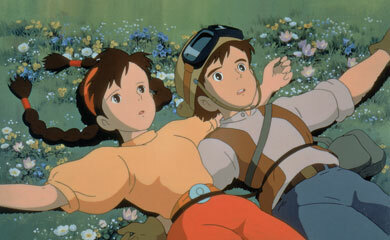 But it turned out to be one of the best Ghibli films ever. It was exciting, spooky, and heartwarming – what’s not to love? When young Chihiro Ogino moves to a new town with her parents, she’s prepared to find it a dull experience. But when she and her parents wander around an abandoned amusement park, something very not dull happens – after eating food left out at one of the stalls, her parents turn into pigs, and she gets transported into an alternate world of the spirits. She then has to brave the villainous (and gross) Yubaba, the owner of a sentō (bathhouse) for the spirits, and rely on her wits and strength of mind in order to survive and set her parents free. And can she trust Haku, the witch Yubaba’s right-hand man? She wants to, and for some reason she feels like she’s met him once before. The movie was so immersive and haunting, that I found myself holding my breath a lot. This was one of Ghibli’s more fairy tale-esque stories, with the heroine’s need to rescue her family, the tests she is put through, the warnings not to look behind her or take no for an answer, and the equivocal helpers she meets along the way. The importance of names also terrified me, since that’s how Yubaba trapped people – by taking their names until they forgot who they really were. There was also woven in many of the lessons we learn as children – such as not to eat the food that’s been left out for the spirits (weren’t we all taught that?). I thought it was interesting that here the parents were at fault – parents just don’t understand. I found the exploration of these aspects of Japanese culture fascinating, such as the central concept of kamikakushi – or, of being spirited away. This refers to the phenomenon of spirits actually abducting people away to the spirit world. It reminds me a little of Rip van Winkle, but it’s much more frightening. There are also more light-hearted depictions of this event, such as in classic manga-ka Rumiko Takahashi’s latest series, Rin-ne, which follows a girl who can see spirits after having been spirited away as a child. I know this is scary, and I hate scary things, but I find this so interesting. Most of the spirits were depicted as friendly (I have the daikon radish spirit’s victory dance seared into my memory, but in a good way), but there were still disturbing images. There was Yubaba, for one thing, and then No Face is the kind of thing nightmares are made of. I’ve seen merchandise featuring No Face – who on earth would want a No Face pencil pouch? Anyone? This was one of Hayao Miyazaki’s original stories, written because he had picked up the manga of the daughter of one of his friends and been disgusted at the content. Right, it was the “daughter’s” manga. Anyways, even though he claimed to be against stories just about romance, my favorite part of the film was the sweet relationship between Chihiro and the dragon boy Haku. It wasn’t a full-out romance, but it was hinted at enough to be so nice and wonderful. This was another wonderful soundtrack by Joe Hisaishi – it really captured the otherworldly mood so perfectly. 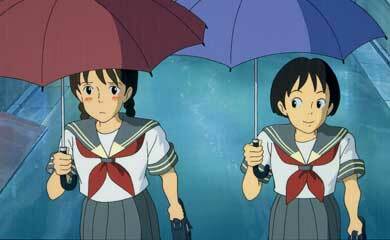 I totally see why this won the Academy Award and why John Lasseter called this film Miyazaki’s masterpiece. This magical story was lavishly drawn, and gives you useful tips in case you ever get spirited away. 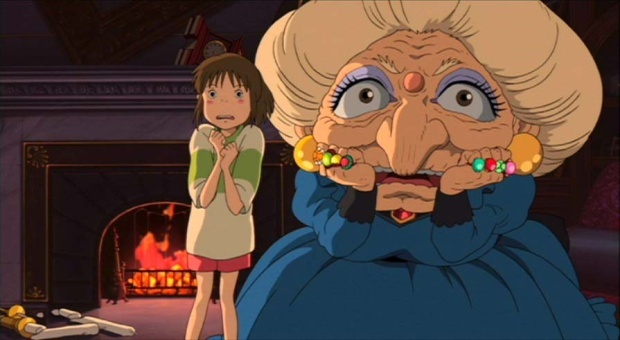 I know that I can be a little prejudiced when it comes to the Studio Ghibli films which involve grotesque monsters and lots of weird mechanized objects, so a film that I can enjoy in spite of all of that must be good, right? 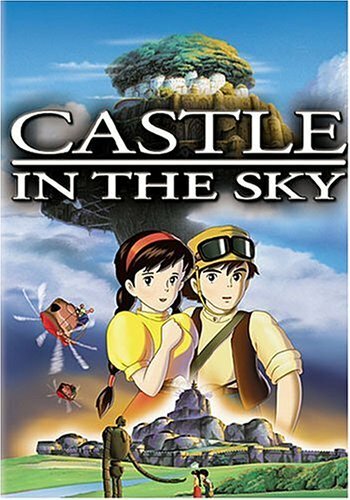 Such was the case for the 1986 Ghibli film Castle in the Sky (Tenkū no Shiro Rapyuta), also just referred to as Laputa, an adventure about robots and castles in the sky. Pazu is a young orphan boy whose father died when he was young, and all he really remembers is how his father had taken a picture of Laputa, the last city in the sky hidden behind a thunderstorm. So what will he do when Sheeta, a young girl wearing a glowing crystal, falls out of the sky into his arms? Of course he has to help her evade the nefarious villains and outrun the scary air pirates. And this mysterious girl may just be the key to finding out the secret of the castle in the sky. And then there are also a lot of giant robots that destroy buildings when certain spells are chanted. My favorite part was when Pazu and Sheeta fall in with the wacky sky pirates, led by the chief pirate, Dola. I’m thinking that Ghibli was inspired by some of W. W. Denslow’s illustrations of the Wicked Witch of the West – or maybe I just associate the two because both sport pigtails and are a little grotesque. I thought it was hilarious but a little cruel that a young picture of Dola had her looking just like Sheeta – please don’t expect me to believe that this is what Sheeta will end up looking like when she grows up. The villain, Colonel Muska, was a little weird, too, and the dub made him even weirder. I think it was a combination of Mark Hamill’s Mid-Atlantic accent and his mention of Sodom and Gomorrah. Whoa, I wasn’t expecting that in a children’s animated film. The name “Laputa” comes from Jonathan Swift’s Gulliver’s Travels (how literary! ), and the European influences do not end there. The scenery for Pazu’s village was also classic Ghibli in that is was a Victorian mash-up and inspired by an actual European locale – in this case, a Welsh mining town. 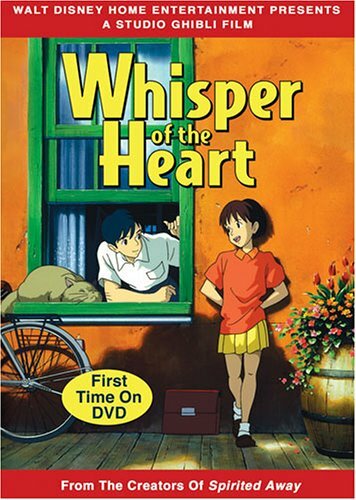 This is one of the most popular Ghibli films, especially in Japan, and it’s still popular. 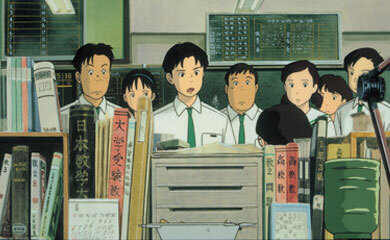 Japan recently set a Twitter record during an airing of this movie on tv. That’s something, I guess.